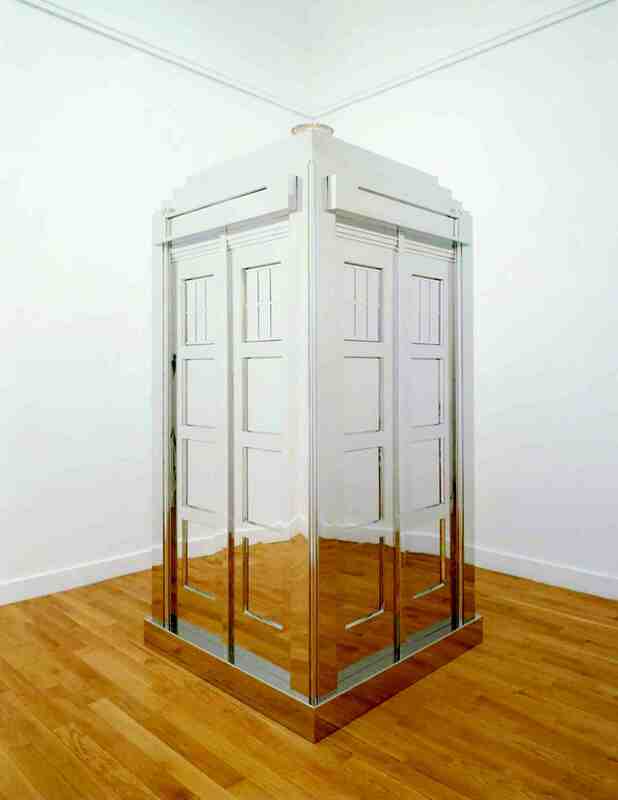 The box of course reflects its surroundings, but in a typical white cube gallery space it has the capacity to almost disappear into the space. 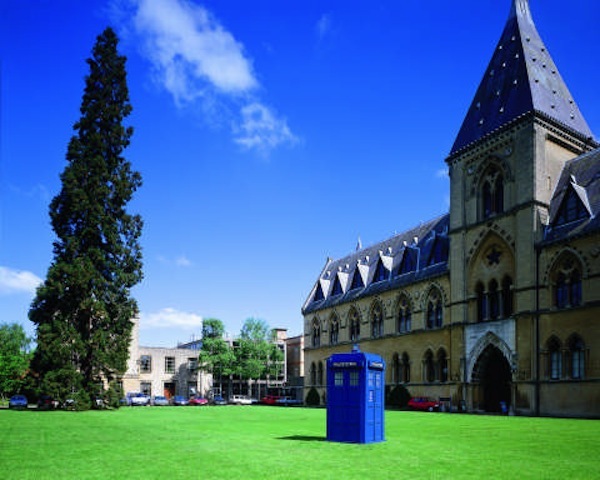 In an earlier work, made as a result of a residency in Oxford, Wallinger placed replica tardises both inside and outside the Museum of Natural History in Oxford. 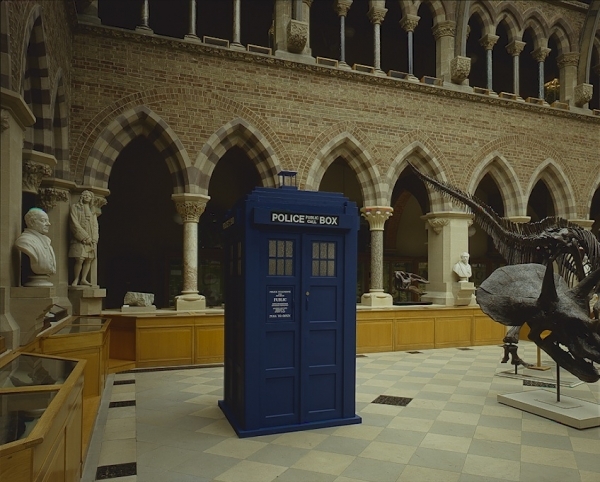 Here of course the tardis is in two places at once, which confuses matters in a different way. Museums such as this are, if not time machines, then time capsules perhaps. In a sense the result is the same: we are transported back to an unfamiliar time by the sight of fragments of dinosaur and relics from the distant past. In a sense perhaps, by alerting us to what has already changed, we may also glimpse a possible future. 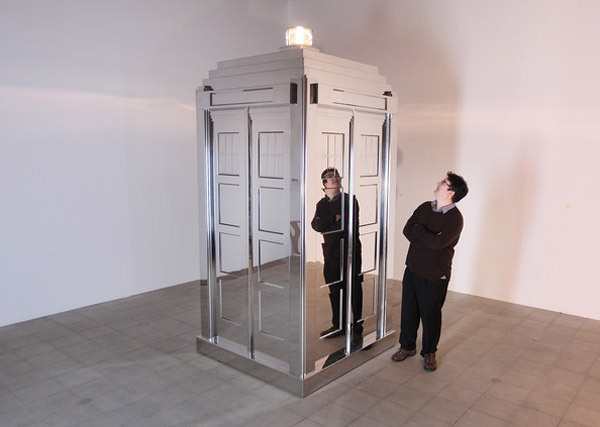 This entry was posted in Installation, Sculpture and tagged art, installation, Mark Wallinger, mirror, police box, sculpture, TARDIS, Time and Relative Dimensions in Space by Ann Jones. Bookmark the permalink.